Warning: this stuff is clutch. Can’t-stop-eating kind of delish. Salty and sweet coconut is crack to me. 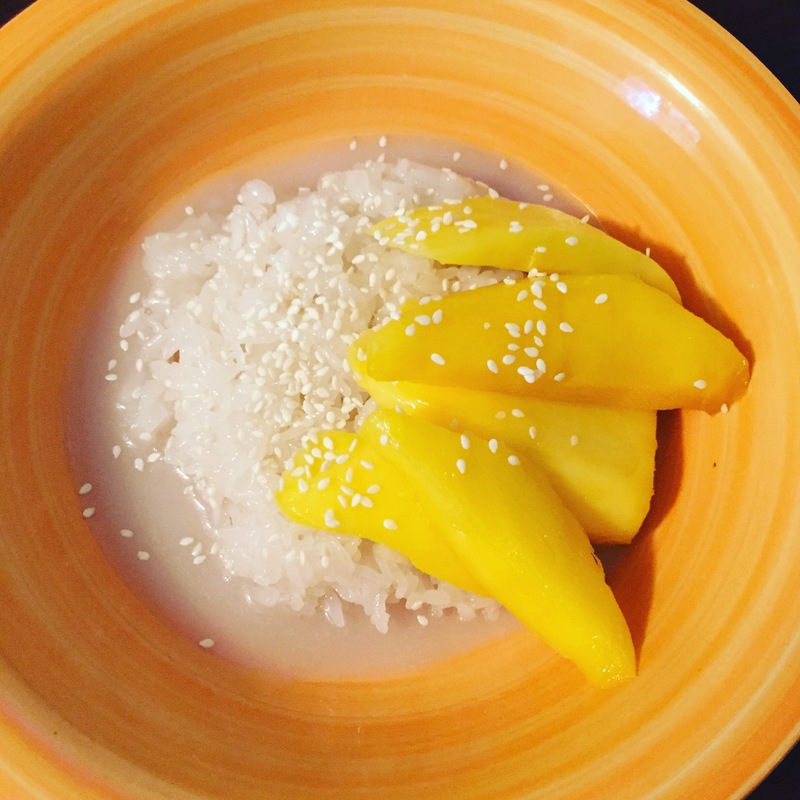 One of my all-time favorite desserts in the world is the delicious sticky rice with slices of mango on top from Thai restaurants. While this won’t yield the same desserty richness or al dente bite of official sticky rice (future post for sure) this is an excellent approximation that captures those same flavors in a savory application. 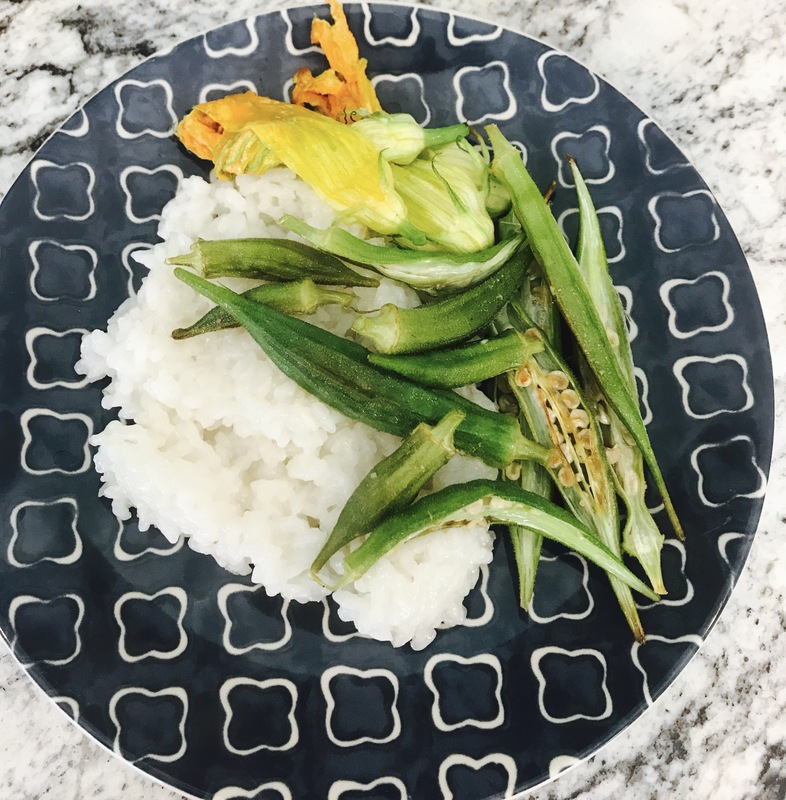 Plus, this recipe is super easy, only takes about 20 minutes, and doesn’t require the soaking and steaming and special equipment that real Thai coconut rice calls for. Niiice. 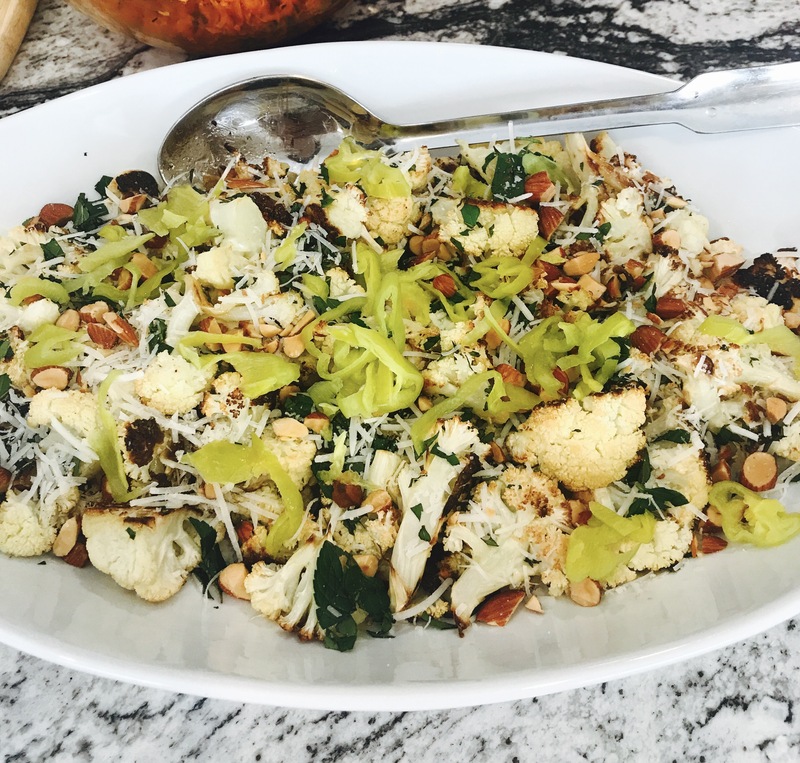 I modified this recipe from one in Chrissy Teigan’s cookbook. She suggests serving it alongside a pineapple short rib offering. I think it’d taste clutch with any grilled teriyaki chicken, fish, shrimp, or steak, fried pork chops, stir fried veggies, or jerk chicken. I had some various garden goodies I didn’t know what to do with, so I threw them all in a roasting pan at 425 degrees until they were tender-crisp and served with ponzu sauce over the rice. 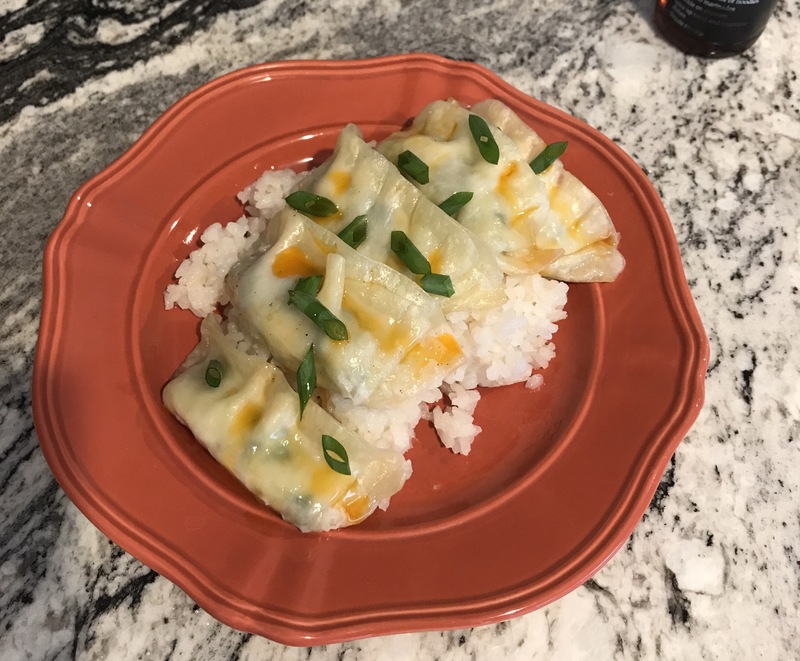 The next day, I ate the rice with some Trader Joe’s shrimp dumplings that I steamed and drizzled with chili oil. It’s a blank palate…but not *too* blank. 1 can of coconut milk. The regular full fat stuff, not the lite version or the milk substitute. The thick creamy delicious stuff. Put the rice in a strainer and give it a good rinse in the sink. Put the rice in a medium saucepan with the coconut milk, sugar, salt, and fill the empty coconut milk can full of water and pour that in too. The coconut milk will have probably separated in the can into a thick white semi-solid layer and a clear liquidy layer–that’s totally cool! It’ll all become homogenous once the rice heats up. Bring the rice mixture to a boil over high heat and give it a good stir. Reduce to low, cover the pot, and let barely simmer for 20 minutes. (If you lost the proper lid to your saucepan, you can Macgyver one out of foil). Uncover and stir the liquid layer back into the rice with a fork, fluffing as you go. Remove from the heat, cover, and let stand for 5 more minutes. Remix The Dish: to reheat the rice to eat with leftovers, microwave it for a minute or two with the rice covered with a damp paper towel. My momma taught me that trick!! It rehydrates the rice so it won’t taste all hard and mealy. 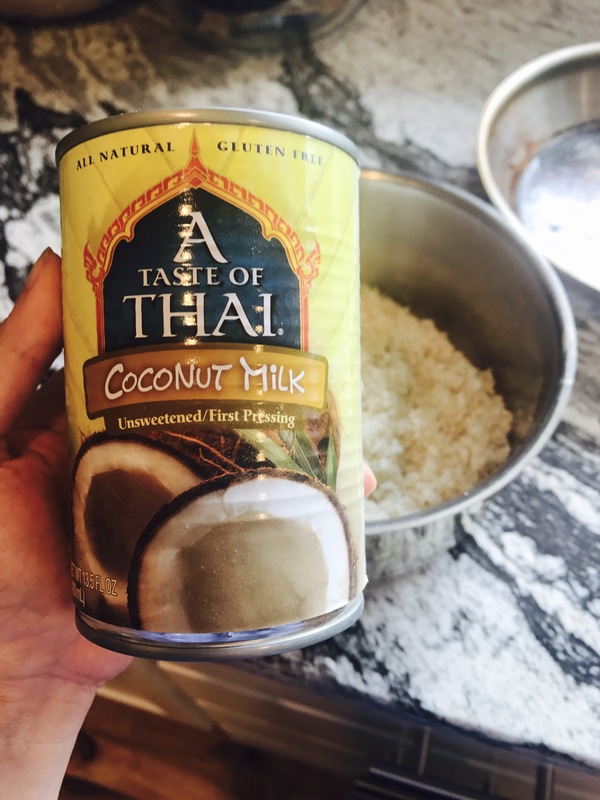 You could also make a poor man’s version of the delicious Thai coconut rice dessert by adding an extra 1/4 cup of sugar to the rice, and simmering another can of coconut milk with 1/2 a cup of sugar, a teaspoon of corn starch, and several big pinches of salt. Serve the rice with fresh fruit, a generous drizzle of the coconut sauce, and sesame seeds sprinkled on top.